It’s the second week into our month long celebration of Double IPA’s! This week we wanted to highlight one of our absolute favorites, and it’s none other than the Reaver Beach Hoptopus! Hoptopus is a local favorite in the 757. If you have ever been into either Tapped locations, you have likely seen or even tried this brew. It’s a balanced, hoppy, and smooth DIPA that packs an 8.8% ABV alongside an IBU rating of 108! We’ve said it before; it’s hard to find a DIPA that’s balanced and not a one trick pony. Hoptopus gives beer drinkers a quality beer that, for us, sets the bar locally for what to expect from a DIPA! In addition, there are not many local beers that have the constant demand behind it like Hoptopus. As soon as the crew at Reaver Beach gets done packaging this delicious DIPA, it’s almost instantly gone. At both locations we stock up on Hoptopus just to make sure we never run out. Interestingly enough, Reaver Beach is adding 3 additional, 30bbl fermenting tanks to their brewery! We don’t see them having any issues with pumping out Hoptopus in the future! We’ve carried Hoptopus on our lines at Gastropub and Crafthouse since day 1. When we first sampled it we knew that its quality was near perfect and would be a go- to for IPA and 2xIPA lovers. Hop heads have a safe space in knowing that if they can’t make up their minds on a hoppy pint, Hoptopus is always there to satisfy their bitter needs! 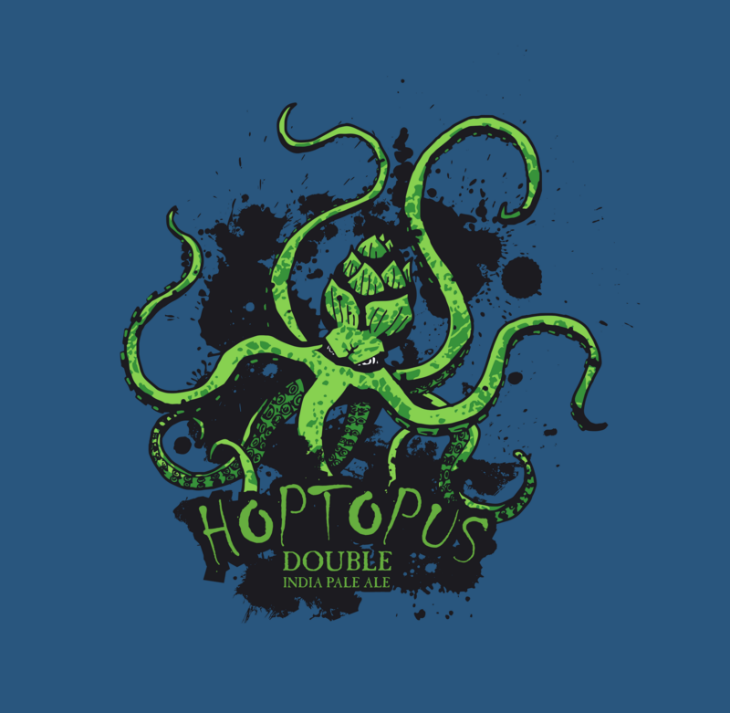 Hoptopus is a great beer from an awesome local brewery and the perfect addition to our month of celebrating Double IPA’s. So come on by both Tapped locations and grab a pint, you won’t be disappointed! Previous Post: April is Double IPA month at Tapped Crafthouse! !